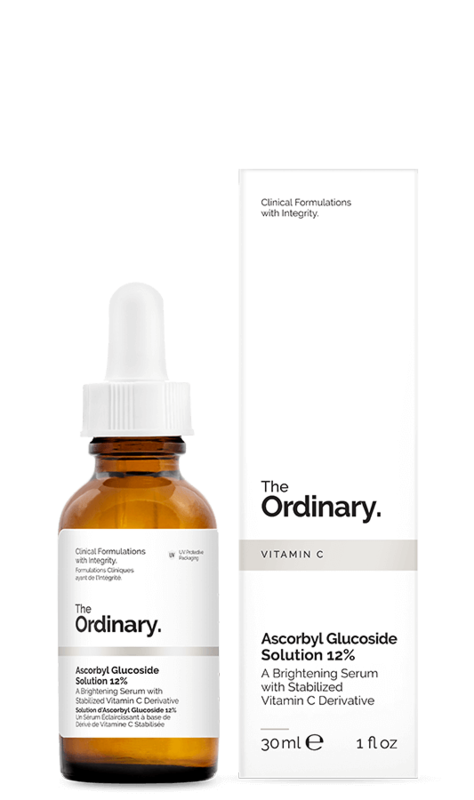 If you missed the post on the types of vitamin C serums carried by The Ordinary, then, just go through it and come back to this. 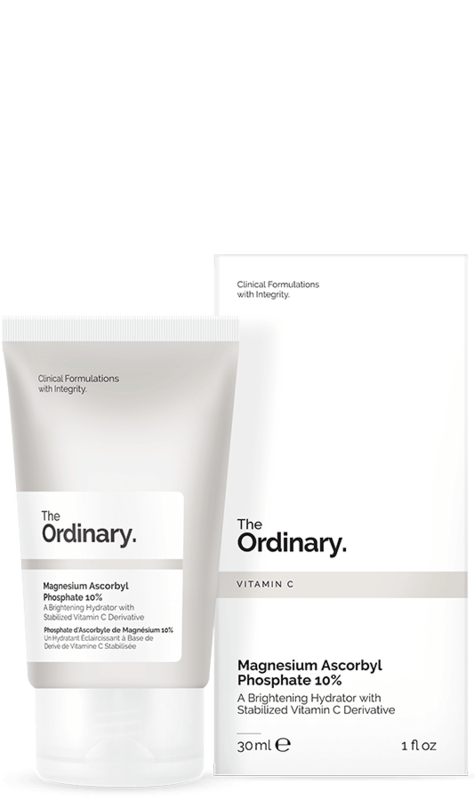 Paula's Choice and The Ordinary seem to have a lot in common when it comes to formulations and I love that! Let's start with the highest form which is the L-ascorbic acid. 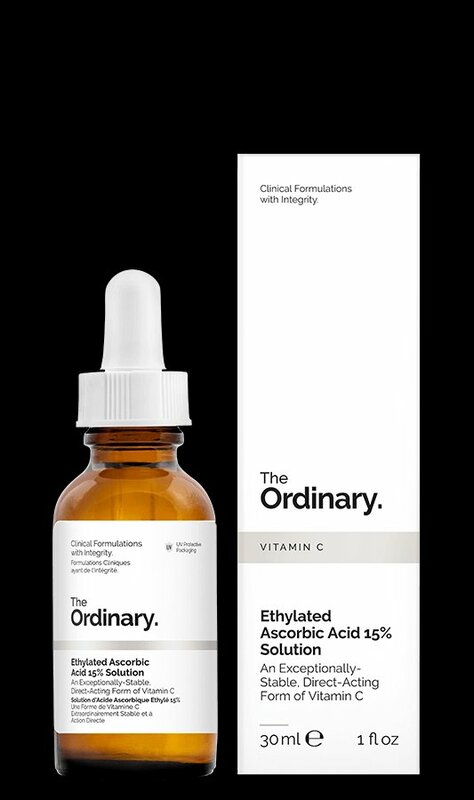 This is found in the The Ordinary Vitamin C silicone and vitamin C Suspension 23% + HA Spheres 2%. Ascorbyl Glucoside is a water-soluble derivative of Vitamin C. It is much more stable in water but it is less potent than direct L-Ascorbic Acid. Being more compatible with water allows for a very pleasant serum texture. It is considered a gold standard of Vitamin C derivatives due to its high stability and comfortable use, but it's impossible to achieve extremely high L-Ascorbic Acid potency with this solution. Aside from the general benefits of pure Vitamin C, Ascorbyl Glucoside has been shown to offer specific skin brightening benefits. Ascorbyl Tetraisopalmitate Solution 20% in Vitamin F (Water-free, silicone-free serum, dropper format) Ascorbyl Tetraisopalmitate is an oil-soluble derivative of Vitamin C that can be used in higher concentrations without drawbacks. It is one of the most stable derivatives of Vitamin C but, being a derivative, its potency will not be directly comparable to pure L-Ascorbic Acid. 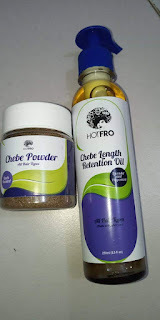 It is provided in this oil-format formula in combination with Vitamin F, also known as essential fatty acids. Aside from the general benefits of pure Vitamin C, Ascorbyl Tetraisopalmiate has been shown to offer specific skin brightening benefits. Now to one of the vitamin C serums I've seen in action. If I'm going to delve into any serum, it would be this and here's why. Last is the exceptionally-stable solution of 15% Ethylated Ascorbic Acid. This water-free formula offers a direct-acting approach to achieving a radiant, healthy-looking skin tone. Unlike other Vitamin C derivatives, this ethylated form acts directly like Vitamin C, is closer in molecular weight to actual Vitamin C which allows for faster visible results, and offers a much better stability profile than any known direct-acting form of Vitamin C.
Now, who wouldn't want to have these benefits? The last is the ELAN 2. This is on the high level of skin care and it's sold on the Hylamide site (another company of Deciem). This is a high end product and there's a version 2 now. On the whole, you can work your way up and find what suits YOU. So far, I've tried only the vitamin C 23% suspension and I'll be trying the Ascorbic acid with alpha arbutin and the MAP. Ps: visit www.shop.ghanaianemprezz.com if you want any of these serums or call 0541458372.